>>>Police Officers Are Being Murdered In Washington D.C.Federal prosecutor Jeff Trask is summoned to a murder scene. A Park Police officer has been brutally murdered at the Lincoln Memorial. As Trask and a team of local and federal investigators try to find the killer, more police officers are murdered. ??? Islamic Terrorism And A Threat That Extends Far Beyond The CapitolWhile attending the funeral for one of these victims, Trask and his team find themselves in a firefight with a cell of radical Islamic terrorists. Disqualified because of his involvement at the scene at Arlington National Cemetery, Trask is reassigned to Washington D.C.'s Joint Terrorism Task Force, where he discovers that the firefight at Arlington was only part of a bigger and much more sinister bomb plot that threatens the entire eastern seaboard. ??? 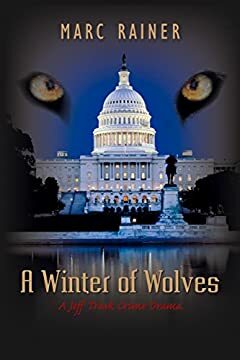 Inspired By Real EventsBased on actual events occurring in the United States, A Winter of Wolves is a gripping thriller that sheds light on how Islamic Cells are recruiting within prisons, creating immediate threats from within.